Psalms 37:23 "The steps of a good man are ordered by the LORD: and He delighteth in his way." The steps of a valiant warrior of GOD are made firm, or prepared, by the LORD. The LORD will delight when you take the strait gate and narrow path, leading unto everlasting life. It's an amazing journey and you'll have the time of your life serving Jesus CHRIST. Every day is a good day, even with trouble, when you're in His WORD. GOD will take you off satan's "small world" dark ride, unplug you from indoctrination, and fill you up with Living Water and the Bread of Life. Psalms 37:24 "Though he fall, he shall not be utterly cast down: for the LORD upholdeth him with His hand." The right hand of the LORD is exalted: The right of the LORD doeth valiantly. You shall not die, but live, and declare the works of the LORD (Ps 118:16-17). Have confidence in GOD's promises, because there is no doubt or fear in the Spirit of GOD. Psalms 119:104 "Through Thy precepts I get understanding: therefore I hate every false way." Wisdom is true understanding and comes from above, from ALMIGHTY GOD. 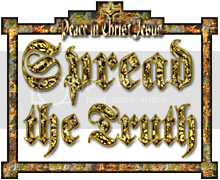 It brings peace, not confusion, for GOD is the Author of Peace (1Co 14:33) and Jesus CHRIST became the Author of Eternal Salvation, unto all that believe and doeth His Word (Heb 5:9). Once you gain understanding of the precepts (laws; commandments; statutes; judgments), you'll hate every false way of the world. The traditions of men make void the WORD of GOD. Follow the precepts of GOD's WORD and live. Psalms 119:105 "NUN [Ps 119 is an acrostic psalm]. Thy Word is a lamp unto my feet, and a light unto my path." You'll need fuel on this journey and the true light, Jesus. YAHVEH's Word is your candle, the source of light and joy. The Word is the light for the path of your entire life. If you're truly happy, and filled with the love of Christ, you'll smile a lot more. But if you forget to tell your face about your happiness, nobody will know. Unlike the man beholding his face in the mirror, and forgetting what manner of man he is when he turns away, your faith must transfer into your works. The hearer only crowd wear "Christianity" on the outside only, as if it were a piece of clothing. They never get to the doing and being a doer of Truth. Happiness will transfer into a smile and into your actions. Love thy neighbor as thyself; start with a smile and be a performer of the Word. Psalms 119:106 "I have sworn, and I will perform it, that I will keep Thy righteous judgments." Enoch 5:7-9 "The elect shall possess light, joy, and peace; and they shall inherit the earth. Then shall wisdom be given to the elect, all of whom shall live, and not again transgress by impiety or pride; but shall humble themselves, possessing prudence, and shall not repeat transgression." Wisdom is the understanding of spiritual truths in GOD's WORD. Prudence is the ability to apply that wisdom from our FATHER, as well as spiritual discernment, which is a higher level of common sense, in your life. Wisdom from above will comfort your soul and influence the folks around you. It doesn't tear down, but builds others up and encourages them in the WORD. True wisdom from GOD makes sense and it's solid and sure as a rock. For the LORD is our Rock, our Fortress and our Deliverer. The Holy Spirit does not share space with worldy pride, so humble yourself and possess prudence. You lay up GOD's WORD in your heart by building up a spiritual library (Scripture; knowledge; wisdom; understanding) in your mind. You engrave His WORD into your being. Becoming a hearer and doer of Truth is a process, and discipline, that takes work on your part. It's not much different than learning something new and becoming really good at it. For example, you'll never forget how to swim or ride a bike, once you've learned. Abilities such as treading water, or balancing on two wheels, become instant reactions. Matthew 10:27 "What I tell you in darkness, that speak ye in light: and what ye hear in the ear, that preach ye upon the housetops." When Jesus said, "Preach ye upon the housetops", He means to spread the WORD, or Truth. When your cup runneth over with truth, share it or risk losing it. The world sits in darkness, or spiritual death, in the shadow of death, which is satan. The valley is the devil's world system of the spiritually dead and asleep. This world is backwards, friend. The counterfeit potter molds the world through traditions, indoctrination and conditioning. Things aren't true just because they're promoted in the media, in your schools, or even inside your churches. Watch the people in mainstream media and entertainment, with spiritual discernment, and you'll see worldly pride written on their faces. It's not of GOD, believe that. If your life is all about how great your idols, friends or family are, or if it's all about yourself, you're not a vessel molded by the Hand of GOD. What you learn in the "WORD" is totally different than what you learn in the "world". The world is robbing you of truth and feeding you something different and contrary to the WORD of GOD. It's like eating instant oatmeal, or fast food, your entire life and never enjoying a homemade meal made from scratch. The world cheats you out of a good meal and health for the sake of gain. When you're physically sick, you might head first to the "pharm-acy", but real health starts at the "farm-acy" with Christ. If you think you've been lied to over your physical diet and health, imagine what you're allowing the world to do to your spiritual health. Everything being promoted in-the-know has pretty much been bought and paid for. The love of money, not money in itself, is the root of all evil in the hearts of men and satan's world system. Those that are respecters of men and their systems will never understand the deeper truths of GOD's WORD. They will never understand the Holy Bible as one unit. And if Jesus Christ lived in the flesh, in our time, they would be the same folks that saw His miracles, even believed, but never truly repented. GOD's teachers and prophets were never popular amongst the masses and religious. There is nothing new under the sun. If you put your trust and confidence in any part of this world system, you'll be deceived. Real knowledge and wisdom comes from ALMIGHTY GOD. Worldly wisdom might get you ahead in the illusion, but you never really leave satan's ride ("dark ride 13"). Jesus is the Living WORD and the Bread of Life. He was born in Bethlehem, meaning the "house of bread" in Hebrew, or "meat" in Arabic. You eat the WORD. It's so good that all you want to do is share it. Christ is the Light and that's what you preach. 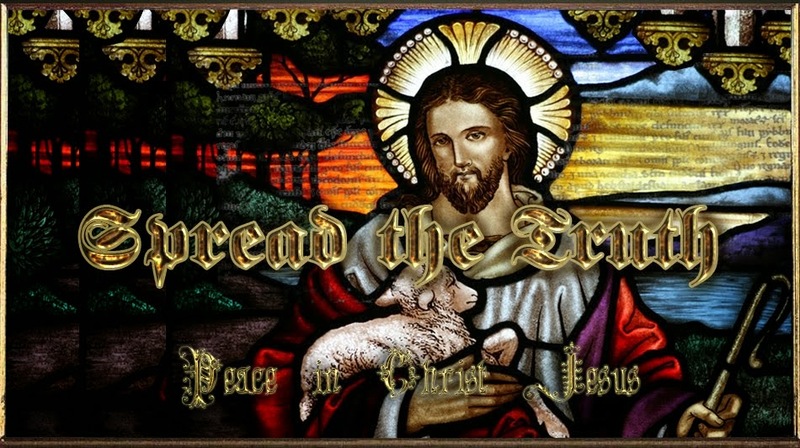 He's the Bread that feeds and nourishes the spiritually poor and hungry. Psalms 119:103 "How sweet are Thy words unto my taste! yea, sweeter than honey to my mouth!" Proverbs 24:13 "My son, eat thou honey, because it is good; and the honeycomb, which is sweet to thy taste:"
Proverbs 24:14 "So shall the knowledge of wisdom be unto thy soul: when thou hast found it, then there shall be a reward, and thy expectation shall not be cut off." Honey makes meat more tender and sweet. Think of Truth as honey and meat for your spirit, the intellect of your soul. Remember, Jesus Christ is the Living Water and Bread of Life. He was born in Bethlehem, the House of Bread. The opening of GOD's Word to your spiritual eyes gives them light and sight. Ask Him to give you the bread and hidden manna of understanding and light in His Word. Psalms 119:130 "The entrance of Thy words giveth light; it giveth understanding unto the simple." Psalms 119:131 "I opened my mouth, and panted: for I longed for Thy commandments." Psalms 119:132 "Look Thou upon me, and be merciful unto me, as Thou usest to do unto those that love Thy name." Psalms 119:133 "Order my steps in Thy WORD: and let not any iniquity have dominion over me."